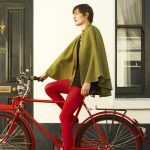 Want to express your geek credentials and still remain stylish? 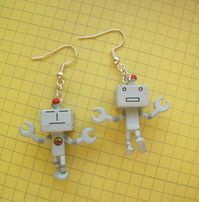 These delightful robot earrings are the perfect way to show the world that you’re a technofiend. One dangly friend is called Max, the other Oscar and they’re happy to be your constant companions in life. The earrings are made out of plastic with a silver plated fitting for the ear. mmm may be the Back to the future earrings? lol. Love it. First was R2D2, after the Cyborgs, now Robot earrings, which will be next?